On Saturday, November 29 you can discover downtown and all of the local shops it has to offer during the Downtown Improvement District&apos;s annual Holly Trolley Shopping Day! Park, shop and ride the FREE trollies from 11am-5pm and check out unique offerings from local businesses both right downtown, and in the Wells Street Corridor. For those keeping count, that&apos;s 50 (FIFTY) local places you can visit throughout the day! Need a little help mapping your day out with all of these options? Let me give you a few of the places I&apos;m most excited about visiting during HollyTrolley Shopping! 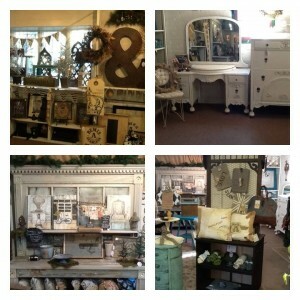 Emily&apos;s Haute Cottaqge is one of the cutest shops in downtown Fort Wayne! Offering everything from unique home furniture and decor, to locally made jewelry, Emily&apos;s Haute Cottage is the place to go if you&apos;re looking for something you &apos;re sure to not find in a chain store. Voted 1st place in the Fort Wayne Newspaper&apos;s Reader&apos;s Choice Awards for Best Gift Collectibles Shop, this is the perfect spot to hunt for a gift for that person on your Christmas list that has fun and unique taste (or to buy yourself something fabulous). 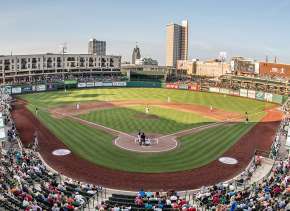 Obviously, Visit Fort Wayne is a must for this list! 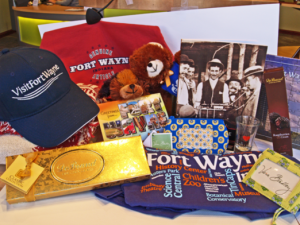 Stop by the Visitors Center for gifts that shout your love for Fort Wayne! Whether you&apos;re looking for Fort Wayne branded apparel, or something uniquely Fort Wayne to celebrate our city, there&apos;s a good chance Visit Fort Wayne has it! Want to find something a little more "luxurious"? The Visitors Center carries local favorites Vera Bradley and DeBrand Fine Chocolate too! 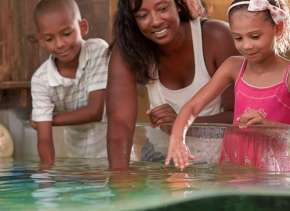 While you&apos;re there, don&apos;t miss the opportunity to chat up their knowledgable staff who are always happy to give their recommendations of what to do and see in Fort Wayne! Prior to this summer I had never been to Fort Wayne Outfitters. I had heard lots of good things, but never had a reason or opportunity to check it out. Once I did I fell in love with this hidden gem in the Wells Street Corridor! 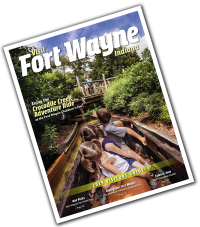 During much warmer weather, Fort Wayne Outfitters is the place to go if you&apos;re looking to really get out and explore Fort Wayne from a different point of view. They offer kayak, canoe, and paddle board rentals for going out on the river, as well as bike rentals to explore our trail system. 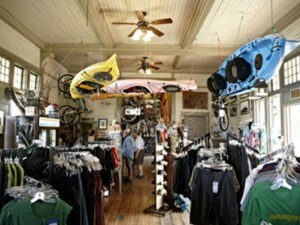 For your shopping needs, they have a selection of apparel and gear, bikes and boats. This is the perfect place to shop for the outdoorsy person in your life! If you have a book lover on your shopping list, chances are they already know about Hyde Brothers Booksellers. It is a truly magical place if reading is your thing. 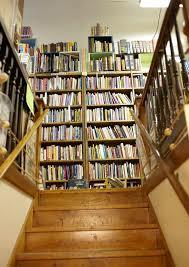 They offer over 150,000 titles, and are one of the largest bookstores in all of Indiana! I&apos;ve spent many afternoons combing the shelves at Hyde Brothers, looking for something unique and interesting, and they never disappoint! You&apos;ll find everything from first-edition leatherbound novels, antique special editions and newer titles currently flying off the shelves. Now, start mapping out your day! Many of the locations along the Holly Trolley route will be offering special holiday items, one-day sales and refreshments for shoppers. Holly Trolley shopping is also great because with two trolley routes, you won&apos;t have to wait long at any given stop to move along to your next stop! 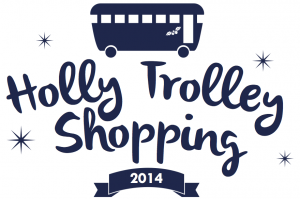 Holly Trolley shopping goes from 11am-5pm and riding the trolley is FREE! 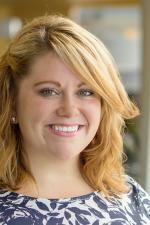 For more information, check out Visit Fort Wayne or the Downtown Improvement District. 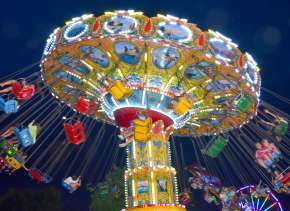 And, don&apos;t miss out on all of the other great Holiday Fest activities going on all season long!